Photo by Noriko Horii and Nancy Teramura Hayata. 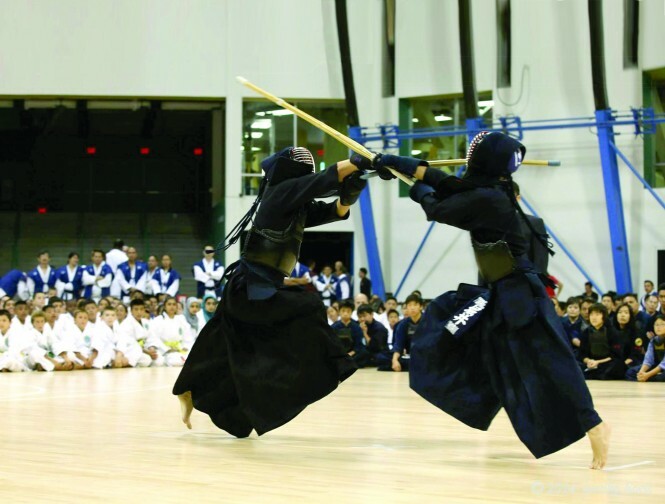 The Nikkei Games preserve Japanese culture through sports. 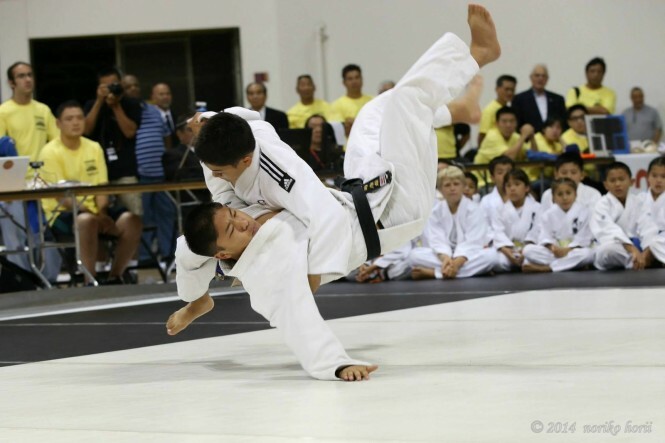 The 2014 Nikkei Games were held from July 13-Aug. 17 at California State University, Long Beach, and many other venues throughout Orange and Los Angeles counties. 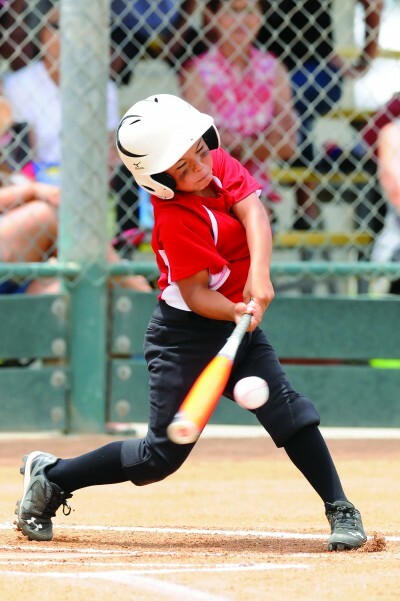 With competition occurring over the span of one month, the games brought together participants in all ages in martial arts, golf, baseball, bowling, volleyball and more to compete in this historic, friendly competition. The Nikkei Games began in 1928 when the Japanese Athletic Union sponsored the Junior Olympics to feed the need for community activities in the Los Angeles area, according to the Nikkei Games’ online history page. These Junior Olympics generated track clubs for Issei and Nisei participants. Per the history page, the Junior Olympics carried on strong through the years and was only interrupted by World War II. Although, post-war, the games struggled in pushing for a revival in 1948. Nisei Relays Chairwoman Carrie Okamura looked to high school kids as volunteers, but eventually, the event lost support from the JACL, thus leading to its demise, according to current Nikkei Games Director Jesse James. Two years after the Nisei Relays died out, in 1994, the Orange County Nikkei Coordinating Council decided to bring back the Nikkei Games. The new games would broaden the spectrum of participants and reach further out to the Los Angeles community. As a first step in demolishing any political bickering, James brought in a solid proponent from another historical, impactful Japanese American event in Los Angeles: Nisei Week. 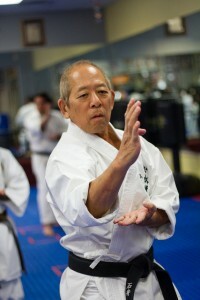 Ishii was chairman of Sports and Martial Arts for Nisei Week when he took notice of Orange County’s Nikkei Games. Ishii said he began attending Nikkei Games meetings. He believed in what its organizers were trying to accomplish, and he reached out to James. As a fixture in the Los Angeles martial arts community (he has been running his own Karate Dojo for more than 22 years in Little Tokyo), Ishii was able to draw in a crowd of contacts to grow the Nikkei Games’ martial arts program. He said he started by reaching out to a friend who would then reach out to another friend, and it turned into a large networking circle. From the beginning until now, the martial arts component of the games has quadrupled in the number of participants, which Ishii describes as “magic.” The Nikkei Games is proud to claim to be the first event in the world to host judo, kendo and karate tournaments on one floor at the same time — at the Pyramid located on the campus of California State University, Long Beach. Besides martial arts, there is also a list of people chairing other indoor and outdoor sports — from basketball to bowling to track and field. In fact, the basketball component of this year’s games set new records for the two-day tournament, which was also held at the Pyramid. Now in its 11th year, the tournament had more than 1,900 participants and an estimated crowd of 6,000 on hand to watch the event unfold. A record 476 teams ranging in age from 5 to 64 took part in 952 games during the two-day span. 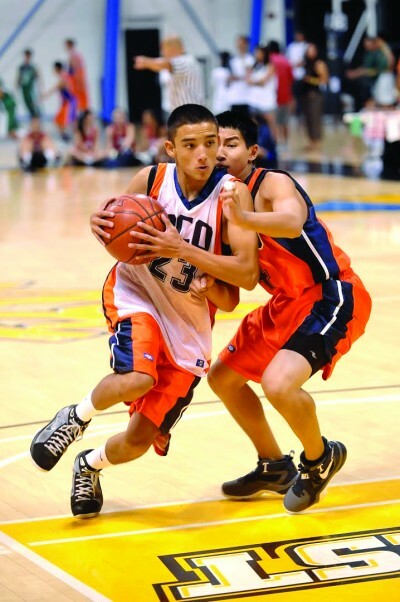 Organized by Basketball Chairperson Wallace Chan, the basketball event now rivals the martial arts component in popularity and scope. In the true spirit of the games, friendships were formed, teams bonded over fair play and old and young were brought together — sportsmanship and generational gaps blended together seamlessly throughout the two-day tournament. As an organization, the entire Nikkei Games work team meets about four times a year, according to James. The groups within each sport have their own separate meetings throughout the year in preparation for the main event in August. Additionally, more than 1,000 volunteers turn up each year. “Because of the value of the Nikkei Games to the community, many people have stepped up,” said James. And he is overjoyed to see the growth of support, even from those outside the immediate Japanese American community. For example, James says the average karate participant is Hispanic, but that doesn’t mean they should be barred from taking part in the games. To be part of the Nikkei Games is to celebrate the Japanese culture. Track and Field Chairman Richard Fukuhara has also been with the Nikkei Games since the very beginning, and he says it’s “never boring.” Fukuhara sees competitors as young as 1 years of age to as old as 80-plus years of age. The tradition and culture behind the event generates a buzz in the air. Fukuhara explained that they try to set up track and field as a big picnic. His favorite part is watching the children having fun and seeing generations come together as grandparents cheer on their grandchildren. “These are the experiences of a lifetime,” said Fukuhara. James is one of those grandparents. He has six children and six grandchildren, whom he loves to watch compete. The smiles on the faces of the children provide priceless moments for families who return year after year. “We want people to keep competing and having a good time,” said James. Ishii full heartedly agrees with James, and sees the preservation of the Japanese culture as a responsibility for Japanese Americans to carry.